Sterling Silver Hawaiian Plumeria (frangipani) Bracelet featuring five highly polished flowers from 6mm to 9mm in diameter. Either side is diamond cut rope chain. Secured with a strong lobster clasp. Measurements: Flowers from 6mm to 9mm in diameter. 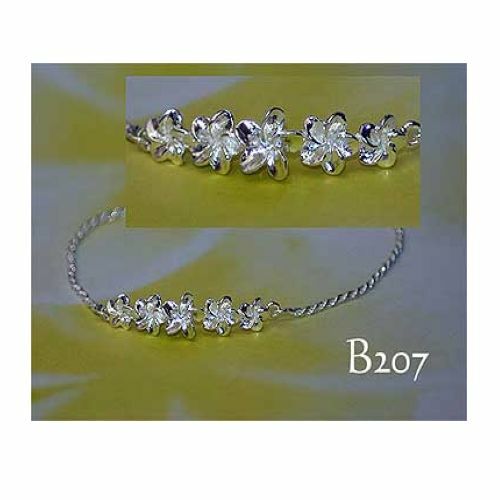 The bracelet measures 7.5 inches (190mm) in length.